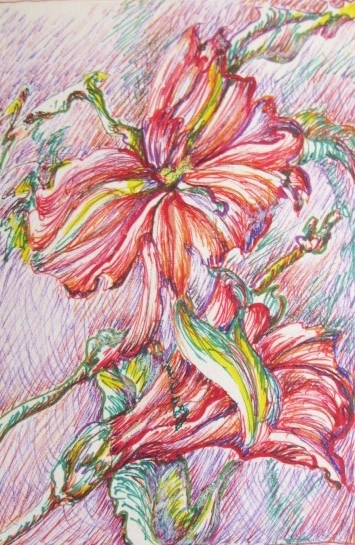 This is the second drawing in a series of pen & ink florals using textural gradation techniques. This one uses hatching which is comprised of hatch marks or parallel and counter parallel lines to create gradations. First is the contour: then the finished drawing using hatching to reveal the underlying form of the subject. 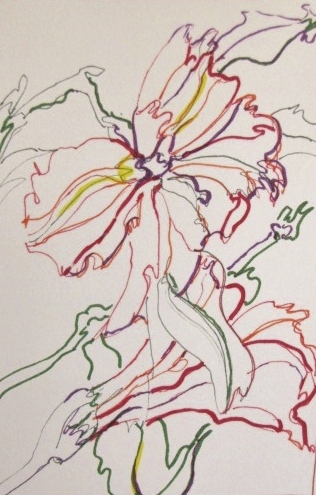 You are currently reading Textural Pen & Ink using Hatching at Dr. Mary McNaughton and Drawing.